Here’s a cover design from Fortune magazine in 1939. Fortune was America’s most important industrial and business news magazine. 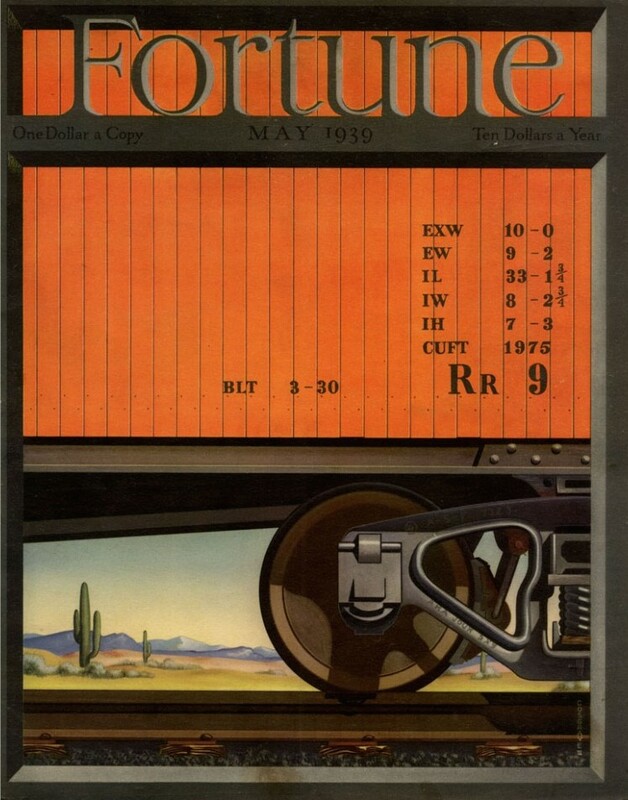 During the period 1930-1960 the magazine was a pioneer of new forms of graphic design that combined information and organisation…You get a clear sense of how significant the railroads were for the US economy from this illustration.